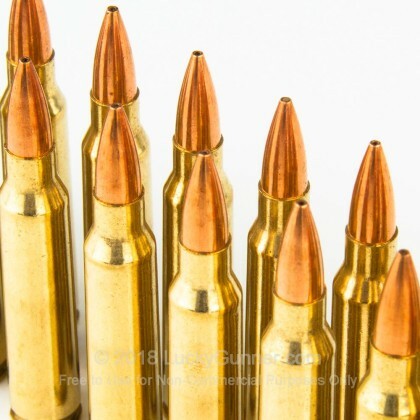 Invented in 1964, the 223 Remington has become one of the most popular rounds in the world. In the military world, it allows soldiers to carry more ammo than before, as well as use lighter firearms with low recoil. 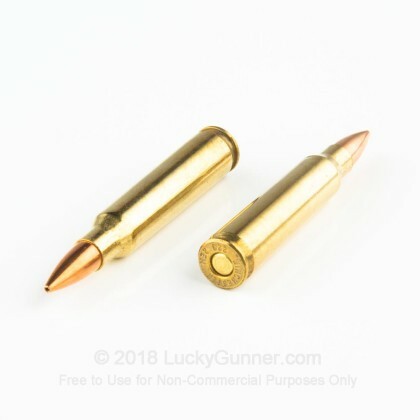 For civilians, this round is fantastic for plinking, match shooting, and hunting applications, making it an incredibly versatile round. Buffalo Bore is a forerunner in the high powered ammunition world. Hand testing their rounds with firearms readily available to the public, Buffalo Bore has excellent and unique quality control, specifically designed for the consumer. 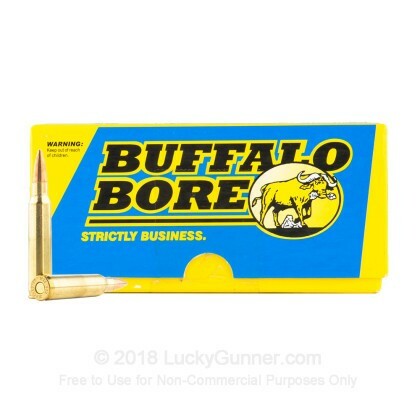 These Buffalo Bore Sniper rounds come with Sierra MatchKing bullets, some of the most accurate in the world. 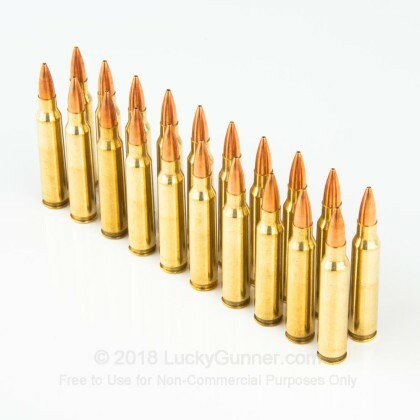 Each round in this box of 20 features a 69 grain hollow point boat tail bullet that is designed to deliver match grade accuracy shot after shot. These MatchKing projectiles are loaded into factory fresh brass casings that are boxer primed and re-loadable. Pick up a box or two today and get out to the range soon! 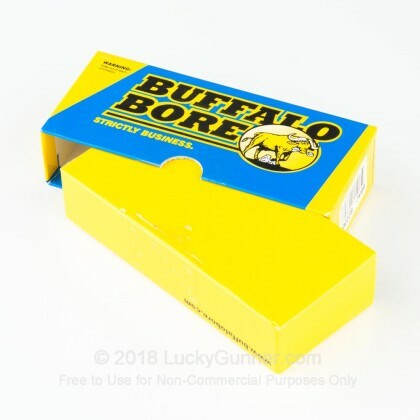 We don't have any reviews yet for this particular .223 Remington ammo from Buffalo Bore. 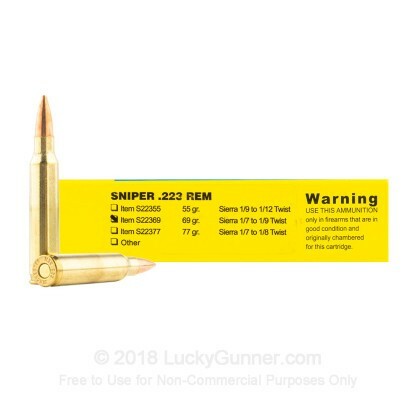 If you'd like to be the first to review this particular .223 Remington ammo from Buffalo Bore, fill out the form below.